Traditional chicken karahi recipe in which chicken is fully cooked in chopped ginger, garlic and tomatoes along with garam masala. Different karahi Chicken with loads of flavors and spices. A perfect recipe for crispy, crunchy and seasoned Chicken wings. 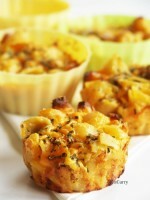 Great snack for party or picnic. Whole spices are used in this recipe giving it a wonderful taste and rich flavor. This is a dry dish and is best served with curries and dals. 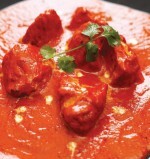 Chicken pieces marinated in mild spices and then simmered in tomato puree. Chicken cooked in gravy based on tomatoes, onions andgreen chillies with spices. These rolls can be prepared a head and you can always freeze them. Just thaw them in microwave and deep fry before serving. A delicious chicken pie made from scratch with carrots, peas and celery. A delicious and heartwarming meal. An oily deep-fried chicken fillet burger served with fries and ketchup. Chicken Karahi is a spicy blend of spices and chicken cooked together.